If you have been in a car wreck, truck wreck or other accident, the lawyers and attorneys at Morgan Hill Law Offices in Olympia, Washington are here to help. If you are fortunate enough to have insurance, negotiating your way through the maze of coverages and provisions can be bewildering. Second party, third party, coverage limits, releases, mediation, arbitration - what does it all mean? If you don’t have coverage, should you make a claim or file a lawsuit to preserve your rights? At Morgan Hill, P.C. we will guide you through the jungle and aggressively represent your interests, whether we are dealing with insurance company adjusters or filing a case in court. 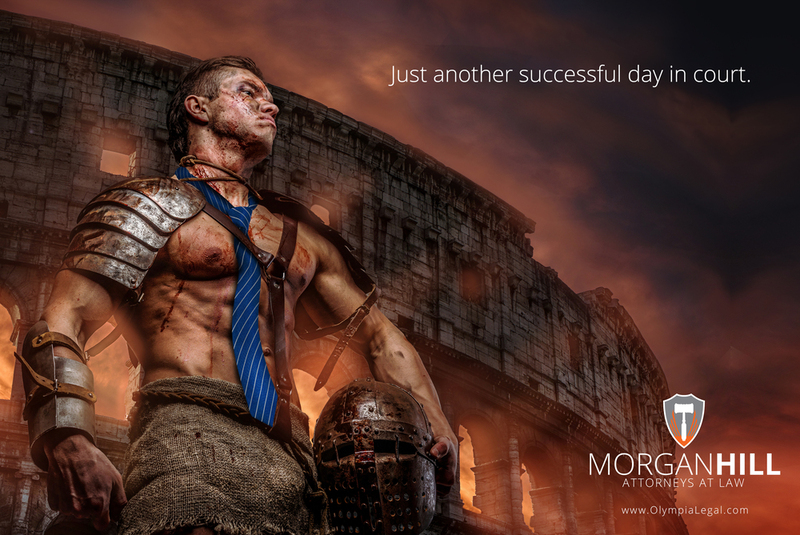 We have successfully negotiated millions of dollars in settlements for our clients. And remember, if we don’t get you a recovery, there is no fee. Are you in a dispute that is sapping your emotions and destroying your piece of mind? Perhaps mediation is something you should consider. Mediation is a completely voluntary process where the parties sit down with a neutral third party and attempt to work out their disputes. While not always successful, mediation with an effective mediation service has a remarkable record of settling cases and saving the parties the financial and emotional cost that goes along with the legal system. Mediation can take place either with the participation and assistance of attorneys or with only the parties themselves if they have yet to obtain counsel. We offer completely confidential and neutral mediation services with a trained mediator for family, landlord/tenant, business, neighbor, or other disputes. We are solutions based, and encourage and assist the parties in problem-solving and coming up with a resolution that meets their needs and works for their life. The end of the litigation road too often ends in a courtroom with a decision that neither party wants but that both have to live with. Don’t let that happen to you. Keep control of your own life. If you are in a dispute that seems hopeless, give a thought to mediation. Too few us prepare for the orderly transfer of our assets to our loved ones at our death. If you desire an orderly transfer of assets, minimization of estate taxes and probate fees, and to generally ensure that your desires regarding your possessions are carried out, then planning is a must. In consultation with you, we will assess your situation taking into consideration your specific desires and family dynamic and prepare an estate plan that it tailored to your family. Documents we prepare to accomplish your goals routinely include wills, living trusts, general powers of attorney, medical powers of attorney, living wills, and community property agreements. Additionally, if you have suffered the death of a loved one, we can assist you in probating the estate, which includes issuance of letters testamentary, giving notice to creditors, payment of debts, and final distribution to heirs. Lastly, disputes over estates are not uncommon. If you find yourself embroiled in a fight over assets, then it is important to have a good attorney in your corner to protect your rights and to ensure that the wishes of the decedent are carried out. Whether you find yourself in a dispute with a neighbor over a backyard fence, a business supplier over an unpaid invoice, or an employer who doesn’t want to pay you for work you’ve performed, you may not know what to do. That’s where we come in. Whether it is advice and counsel on a simple legal question in your life, or whether you are knee-deep in a legal dispute and don’t know what to do next, give Morgan Hill, P.C. a call. We can help you sort out the questions and give you options. If you are already in or should be in a legal proceeding, we will be right there with you through the initial filing, service of process, the discovery process and on through trial. Our staff and attorneys have years of experience helping our clients wade through the morass that is our legal system. Remember - justice is a process, not an outcome. To receive justice, you must use the process to your full benefit. We have on-going clients who have been coming to us for years, and call us every time they have a legal question in their life that they can’t see their way through on their own. Or sometimes they just to pop in and have a cup of coffee. Didn't find what you're looking for? Contact us and get some help!